Even before CasinoLand was launched in December 2015, I had the honour to have a look at this online casino platform being instantly impressed. Even though the icing on the cake was missing because the site wasn’t fully functional yet, I already saw a bright future ahead for CasinoLand. Its sophisticated design was what made a big first impression and the moment you bring this NetEnt Casino a visit, you’ll see what I mean. You must love the detailed animations used for the banner, perfectly designed for every single country meaning that English players get their beloved Big Ben and English Bulldog while the Australian players can look forward to a koala of which I now know they are also related to the kangaroo, another symbol of Oz. No matter if an Aussie, Kiwi, British, or any other nationality, I’m sure that you whatsoever will appreciate the calm appearance of the site as no flickering banners are used. After all, it is all about the casino games, the reason why CasinoLand is showing the video slots straight away. This way you can start playing your favourite slots instantly, for real-money, but of course also as a free casino game. As said before, you don’t have to look for your favourite casino games at CasinoLand as they are in the spotlights. Unless you visit one of the information pages such as the promotion page, banking page, contact page, about us page or to the F.A.Q., you will be surrounded by the best online casino games including the entire games suite developed by NetEnt. Assuming you just want to play the NetEnt Games, nothing more and nothing less, CasinoLand is highly recommended. All your favourite NetEnt slots will be showed directly while all table games, video pokers and poker games can be found easily using the tabs. Having an account at CasinoLand, you will also be able to give a sort of ‘like’ to your favourite casino games. Those that received a heart from you will end up in the category ‘Favs’ so you can easily find them back the next time you log in again. This feature shows that CasinoLand loves efficiency and so do I! If I were you, looking for a NetEnt Casino to give my loyalty to, I would definitely have a look into this online casino platform, even though CasinoLand is a newcomer in the market. However, this can be an advantage as new online casinos do appreciate their first players a lot. Your loyalty will for sure be awarded many times as CasinoLand is operated by an experienced group of iGaming enthusiasts, knowing how to treat their players. CasinoLand is unique, bringing together a wide range of online casino games supplied by world’s top gaming developers including NetEnt. Having an account at CasinoLand, you can look forward to a huge total of over 700 of the most exciting online casino games. From Starburst™ to Fruit Shop™, from blackjack to Pai Gow, and from classic slots to live casino games, when you play at CasinoLand you get access to every single major title available in the iGaming industry. CasinoLand is also offering a diversity of premium table games like Blackjack, Roulette, and all NetEnt Video Pokers. Of course, no video slot is missing which means you can expect all popular slots such as Starburst™, Gonzo’s Quest™, Aliens™, South Park™ and the new Guns N’ Roses video slot launched early 2016. You also don’t have to miss out on any Progressive Jackpot Slots bringing you all the large online casino jackpots available in the industry. CasinoLand is obviously proud of their unbeatable live casino games giving you the chance to enjoy an authentic casino experience with real dealers. Live Blackjack, Live Roulette, Live Casino Hold’em, and many more live casino games can be found back on the site of CasinoLand, another reason to give this NetEnt Casino a try. Unlike many other NetEnt Casinos, CasinoLand put mobile first so that you can take the thrill of playing your favourite online casino games with you wherever you go. The entire site is responsive and, therefore, all NetEnt Games are available on your tablet, mobile or smartphone just as easily as you can play all online casino games on your PC or laptop. Although not all NetEnt Games are available as a mobile casino game, all 41 casino games that have been turned into a Touch® game will be available at CasinoLand. 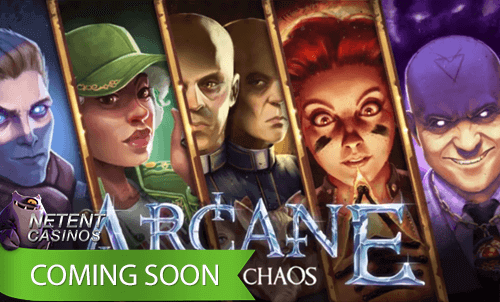 It is, therefore, you can look forward to a brilliant mobile gaming experience thanks to the combination of CasinoLand’s fast online platform and high-quality NetEnt Touch® Games. As all NetEnt Casinos, also CasinoLand is offering you a warm welcome. Well actually, more of a hot welcome package as a total of four first deposit bonuses are waiting for you. The first one will be awarded when you top up your brand new CasinoLand account for the first time and offers a 100% welcome bonus going up to €200. This maximum bonus amount can be collected three times more linked to a second welcome bonus of 50%, a third welcome bonus of 25% while CasinoLand will be adding 25% extra to your fourth deposit. 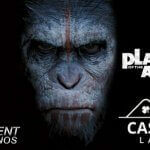 This means a total of €800 (or $800) can be collected when you become a new player at CasinoLand. CasinoLand is fully licensed, authorised and regulated by Malta Gaming Authority (MGA). A Class 1 license has been granted by MGA, the highest stamp of safety available in the online gaming industry. CasinoLand is also offering some of the toughest security online and all of their software has passed rigorous security checks while the payment processors use cutting-edge technology including End to End and SSL (Secure Sockets Layer) encryption. It is because all of these precautions that your personal details are encapsulated by complicated logarithm combinations and, therefore, the information you send is always secure. Through the banking page, you’ll find a wide variety of deposit options of which almost all of them can be used to withdraw your winnings as well. VISA, Mastercard, Neteller, Skrill, EcoPayz, Euteller, iDEAL, Instadebit, Paysafecard, POLi, Trustly, Ukash, UseMyServices and WebMoney are available for you and I can’t imagine there isn’t, at least, one payment option that fits your needs. Operated by One Click Ltd, you can expect a great gaming experience. Online casinos operated by One Click Ltd are provided with the latest technologies and, therefore, it doesn’t matter if you decide to bring CasinoLand a visit from your computer, tablet or mobile. 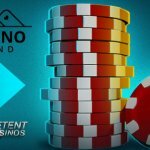 I’m 100% sure about CasinoLand’s dedication to becoming the best, just because the team behind it is truly passionate about online gaming and their players. No matter if you’re an avid gamer that knows every major title on the web or you’re taking your first tentative steps into the exciting world of casino gaming, I’m sure you’ll find all the casino games you need at CasinoLand. Besides the standard table games and slots, you’ll also be delighted by a wide range of live casino games and mobile casino games. Granted several casino licenses by esteemed regulators, you don’t have to worry about safety as ‘big brother’ is watching every single step CasinoLand is taking, making sure the player can be sure of a safe platform to play at. Not only players from the UK (£), New Zealand ($), Canada ($), and Australia ($) are welcome to join CasinoLand as an International (€) platform is available too. If it comes to banking, you will for sure find a payment option perfect for you including VISA, Neteller, Skrill, iDEAL, and Paysafecard.